I write today with excellent news. Effective immediately, Tracey Shirey will serve as our permanent Head of Lower School and Amy Cuccia will serve as our permanent Assistant Head of Lower School. For the last seven months, Tracey and Amy have performed these roles on an interim basis. This time has allowed me the opportunity to observe and evaluate their work. I have developed a deep respect for their leadership, ability to inspire and support best practices in learning and teaching, and unwavering commitment to our students, teachers, and families. Their "kids first" attitude and equal focus on academic, social, and emotional learning help set a strong foundation for our youngest learners. Tracey and Amy form a tremendous leadership team that will serve us well as we transition to one campus, one community. Before being named Interim Head of Lower School last spring, Tracey Shirey served as ESD's Assistant Head of Lower School for three years. She will continue to build upon the culture of excellence and enthusiasm already in place at our Lower School. Eight years prior to Tracey becoming an Eagle, she and Amy Cuccia co-founded Thinking Matters, a teacher coaching and curriculum development firm committed to helping teachers reach their full potential in the classroom for the benefit of each child. Her clients included ESD, Hockaday, St. John's Episcopal School, and Ft. Worth Country Day. Tracey spent the first 15 years of her career as an elementary classroom teacher. 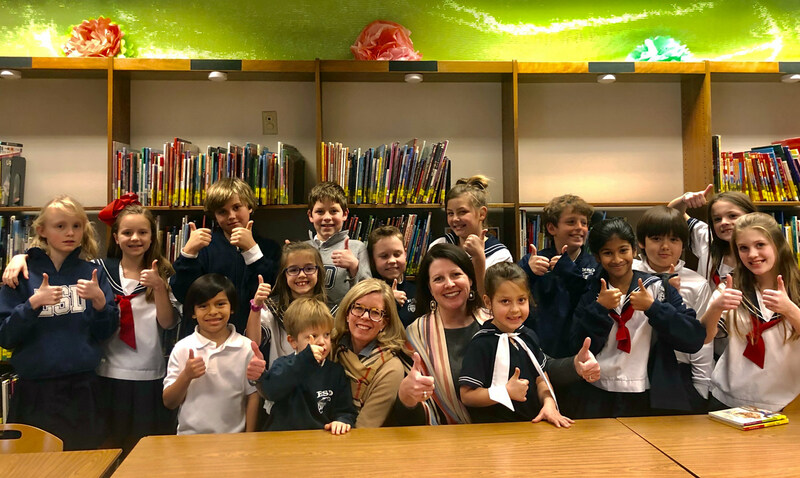 In addition to her classroom responsibilities, she served at Hockaday as the PK-4 Language Arts Coordinator, co-founder and co-director of the Hockaday Writing Institute, Ten-year ISAS Evaluation Chair, and the Curriculum and Scheduling Coordinator. At Highland Park, she was the fourth-grade team leader, technology chairperson, a member of the systems alignment and math mapping team, and two-year nominee for Teacher of the Year. Tracey holds a Bachelor of Science in Applied Learning and Development from the University of Texas at Austin and a Master of Gifted and Talented Education from SMU. In addition to her responsibilities as Assistant Head of Lower School, Amy Cuccia continues her work as Director of Early Childhood Education, keenly focused on the learning and teaching needs of our youngest students. Amy's many years in early childhood classrooms, her passion for the unique developmental needs of very young children, and her dedication to coaching teachers in their craft greatly benefit our Beginner through Primer programs. Amy's early childhood and elementary classroom teaching experience is extensive, including 15 combined years at Hockaday, St. John's Episcopal School, Bradfield Elementary in Highland Park, and Elliott Elementary in Ft. Worth ISD. Amy holds a Bachelor of Science in Elementary Education from the University of Oklahoma and a Master of Reading and Literacy from Texas A&M University, Commerce. Please join me in congratulating Tracey and Amy on their permanent appointments.